DIY Biking | How bike builds, bike travel and bike life can save the world: Bikes Lift Cities. Art Does Too. Bikes Lift Cities. Art Does Too. This Friday, June 27, Fairfield County is lucky to have two great events in both of its cities (and yes: this is worth interrupting the progress report of the bike generator I built last week). One event is in Bridgeport, a city not thirty miles away from my front door and I've only ridden in it once. From what I can tell by what I've seen recently, that's a shameful admission. Especially since Cleveland is a tank-and-a-half of 87 octane from Stamford and I know that city better. Visiting BPT Creates the other day to drop some of my artwork off tells me I need to bring back my 'All Local Stops' series. BPT Creates/Magnacon 7 is a gallery and workspace located at 1001 Main Street, Suite 14. What makes the first part of that address significant is the fact it is in the Arcade Mall (pictured above). All of the wonder of the mall in Cleveland with no five-state blend of bug pizza on the grill of my car to get there. This Friday, from 6:00 to 9:00pm, the opening reception of BPT Creates' exhibit "I Want to Ride My Bicycle" is being held there. I submitted a few of my pieces (some of which you've seen at my exhibit at Lorca this past March) but from what I've seen on the BPT Creates Facebook page my stuff isn't going to be the highlights of this exhibit. 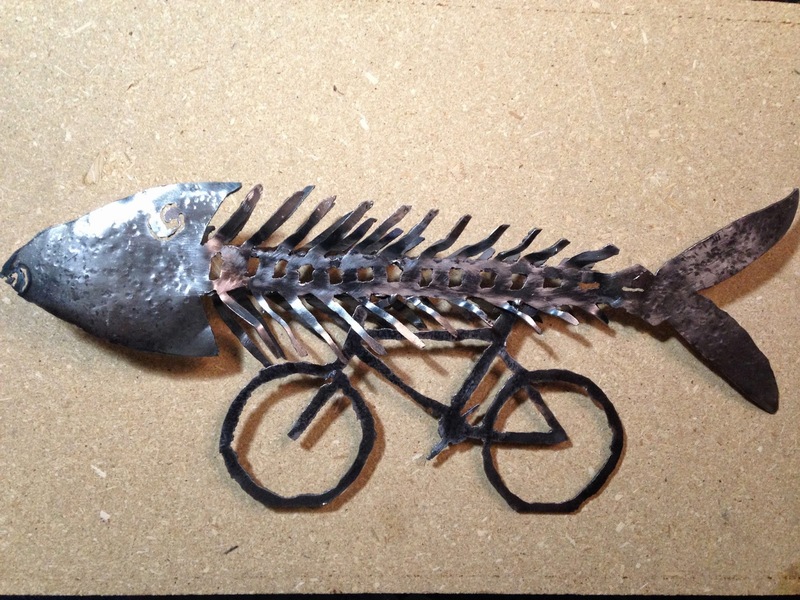 It goes without saying, but attendees are encouraged to bike to the opening reception. In Stamford this weekend, we have ARTWALK, which turns downtown into an art exhibit. It begins on Friday and continues through Saturday afternoon. You can find out more details, including the calendar of events and the route map, at Stamford Downtown Special Services district web site. The weather looks like it will be good for riding and walking in the city I call home, and some of the exhibits, including some from artist Holly Danger (who was profiled in the Connecticut Post this week and has some of her art on display at Lorca) that may well stop people in their tracks as they pass through Kiwanis Park. I talk about bikes the way I do because bikes lift cities up. Art does that too. I hope you have a chance to visit both ARTWALK in Stamford and BPT Creates in Bridgeport this weekend - and tell your friends to do the same. Thanks for reading and thanks for riding.